Peanut is my first little bundle of joy, so, naturally, I wanted to have ALL THE THINGS baby related. Now that he’s almost 15 months old (How did that happen?) I have a better look at what’s “needed” and what I actually thought got good use. 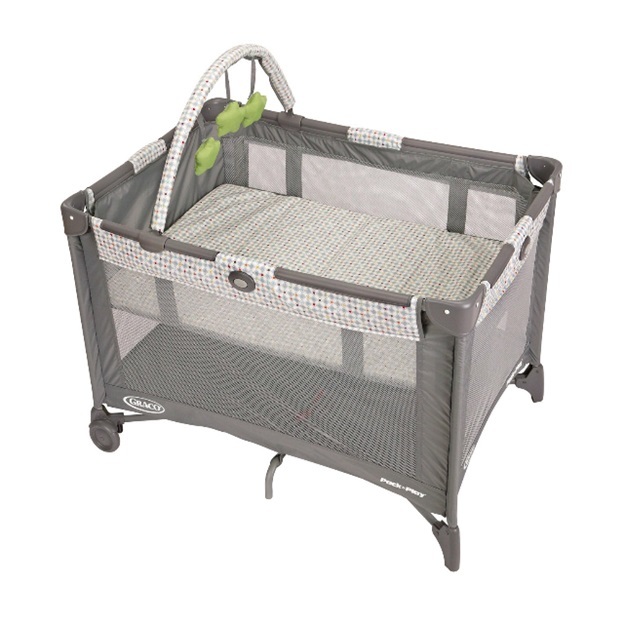 Just to clarify – the crib, clothes, car seat, etc. are obviously must haves. These “must haves” are the extra baby gear items. These are the things that I would definitely want to have again. Peanut absolutely loved his swing. I think he liked the cuddliness of it (opposed to just laying flat on his back) and the swinging motion. (I didn’t use the swinging part of the swing until he was about four weeks old. It may have been “first time mommy” worries, but it just seemed too fast even at the lowest setting.) This swing has a reflective mobile and plays different sounds, which Peanut seemed to love. He napped really well in it too. Around 6 months or so, Peanut got really congested and did not want to lay flat in his Pack n Play. He threw a fit whenever I tried to lay him down. It was realllly early in the morning and my tired brain told me to just go downstairs and set him in his swing. At least that way he wouldn’t be laying flat and maybe he’d be able to sleep. It worked. And we both slept peacefully (me on the couch). I will say this though – the swing does take up a lot of floor space. 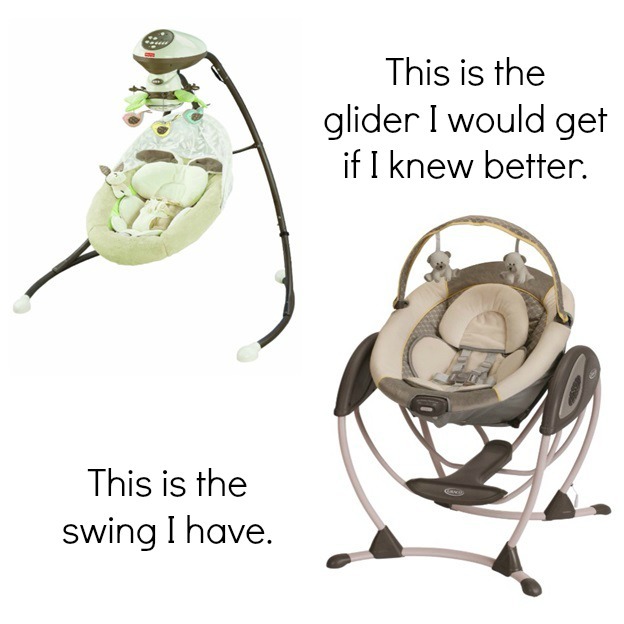 If I have another baby, I think I’d go with the glider instead. Also, as baby gets older, all you have to do is take the bassinet portion out and it’s ready for babies who are sitting up and pulling up to stand. I still have mine set up (both upstairs and downstairs) because it’s a safe place to put Peanut if I need to use the restroom, take the dogs out, tend to cooking food in the kitchen, etc. 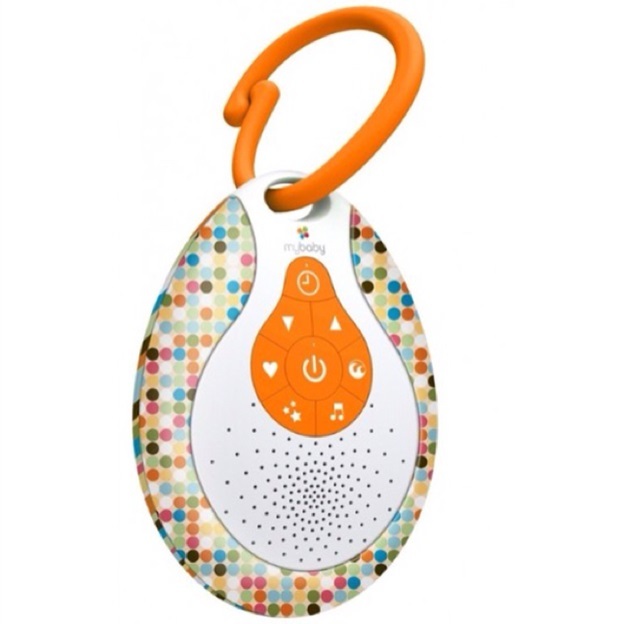 The one I have is about $10 and it’s the best little sound machine ever. We were not quiet around Peanut on purpose. We didn’t whisper when he was sleeping and we didn’t freak out if the dogs barked at the door. We just went about our normal lives and let Peanut get used to that, so we never had to worry about waking a sleeping baby. I mean, we didn’t go around banging pots when he was sleeping, but I could vacuum and it wouldn’t bother him. However, having the sound machine was great for helping to soothe him. This particular machine has music, white noise (static), and a heart beat sound. It also has a timer for an automatic shut off (15 minutes) which is really nice. Plus, it’s small enough that I can hook it to his car seat. I took it with me to a company picnic and when Peanut started getting sleepy, I just covered the car seat with a canopy, turned the sound machine on, and off to sleep he went. He even got to the point where he can turn it on and off himself – which he does during the night all the time. I know new parents can get caught up in Bumbo’s, Boppy’s, Rock N Play’s, bouncers, etc. So I hope my little blurb here helped you narrow down some options. Feel free to ask me any questions in the comment section! Oh, and as I mentioned above, this list is just what I felt got tons of use. The Pack n Plays and sound machine are still in use. The swing got put away when he was about 10 months old. We did have a Boppy, bouncer, Rock n Play, etc. but I felt like those things didn’t get used for very long, so going forward and knowing what I do now, I don’t think I really needed them. LOL being a parent is so funny because I would pick three totally different must haves. LOL! So true! “Every baby is different.” What would you have chosen?